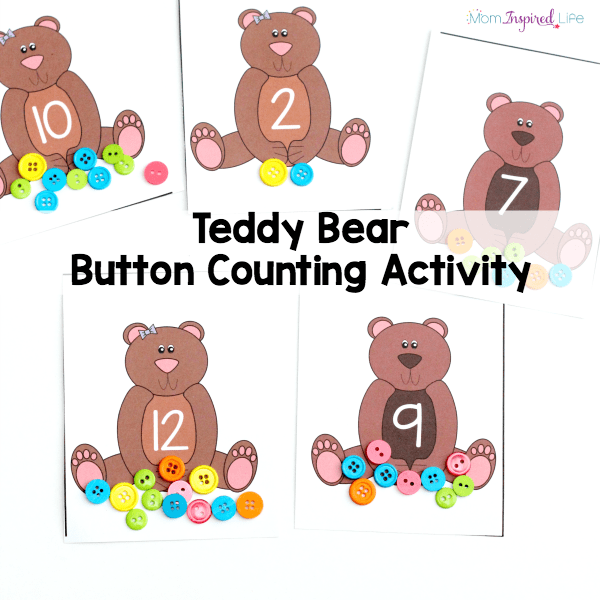 This teddy bear button counting game is a fun activity inspired by the book Corduroy. 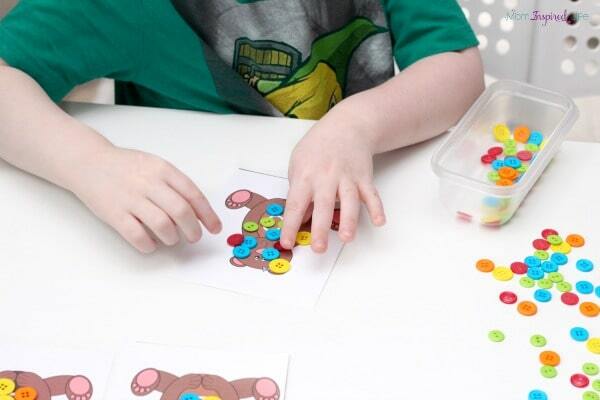 It’s a hands-on way for preschoolers to learn numbers and practice counting! This month the Virtual Book Club for Kids is featuring the Corduroy. It was one of my favorite books as a child, so my kids are very familiar with it. However, we have never done an activity to go along with it. I was pretty excited about creating one though. 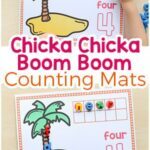 I had the task of developing a Corduroy numbers activity. 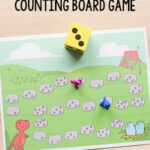 I immediately thought that button counting would be perfect! 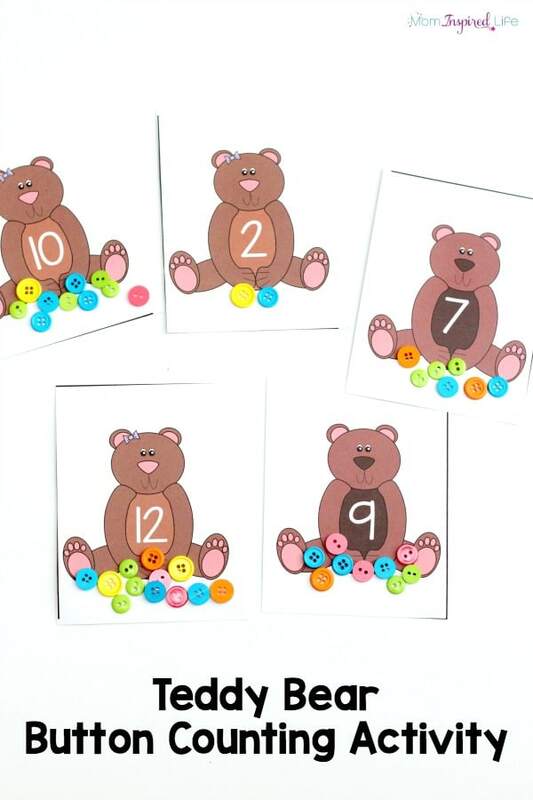 As I thought some more, I decided to make printable teddy bear number cards so that this would be simple to set up for all of you. 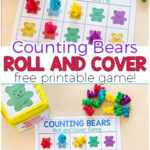 Print the teddy bear counting cards and cut them apart. 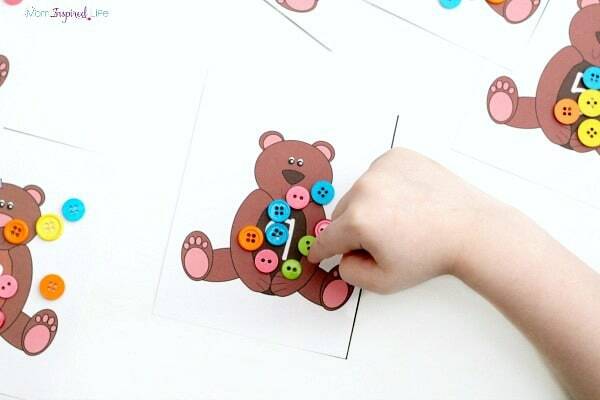 That is all you have to do to prepare for this super cute teddy bear activity! This can be as independent as you would like. 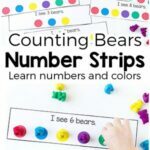 When I did the activity with my 2.5 year old, I went through each card 1-5 and showed her the number on the card and helped her count out that many buttons. She enjoyed picking out which color buttons to use. My (almost) 5 year old was able to do this totally independently. He simply looked at the number on the card and counted out that many buttons. We also combined cards to work on higher double digit numbers. To make it a bit more of a challenge for him, I then combined cards and practiced addition with him. 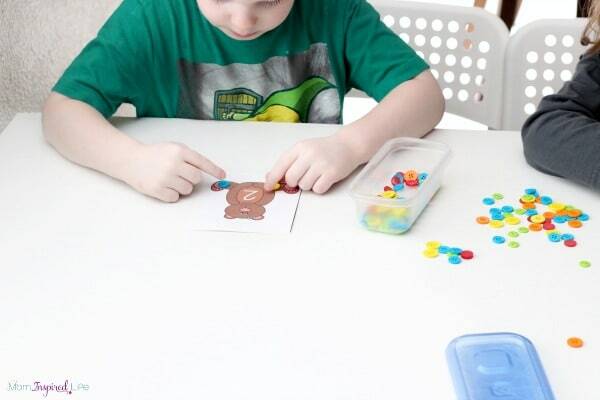 For example, I put the number 3 teddy bear and the number 4 teddy bear on the table. He placed 3 buttons on card 3 and 4 buttons on card 4. Then he added them together to get 7. He then found the card with 7 on it and placed 7 buttons on that. 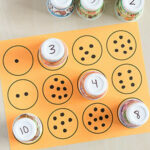 You could also use the buttons and cards to practice subtraction. As you can see, these cards can be used to work on varying skills and with children of varying ages and abilities. 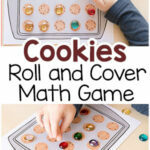 I like that it is so easy to use them with both of my kids, despite them being on very different ability levels. 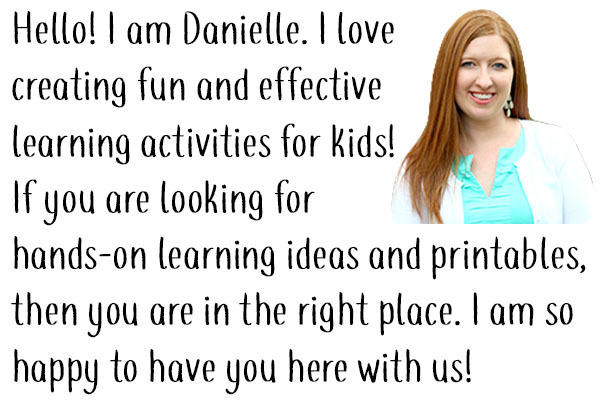 Check out more fun Corduroy activities from the Virtual Book Club for Kids team!